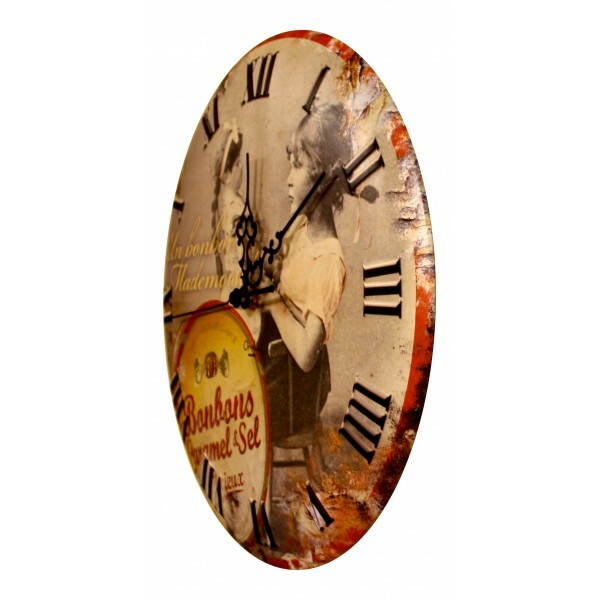 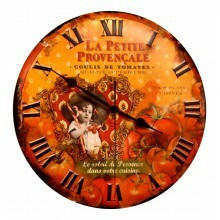 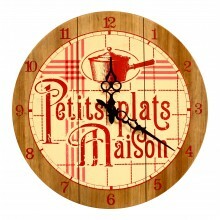 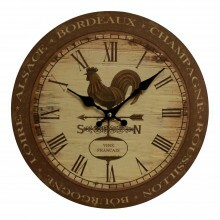 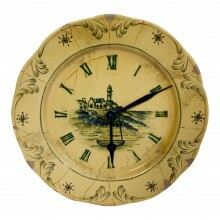 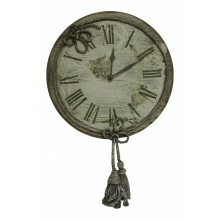 You'll love this embossed metal clock with a French design. 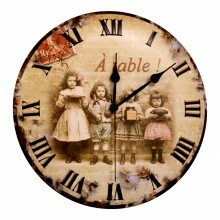 It shows a young girl playing with a doll in an old style black and white photo. It is written "Un bonbon Mademoiselle ? 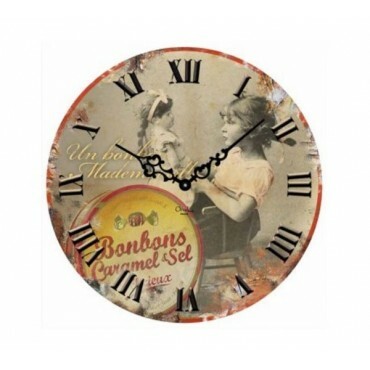 Bonbons Caramel au sel".